Ashville, NC WW/Press/August 30, 2017 – Steve Wilde, Founding Attorney of Wilde Law Firm was selected for inclusion in the forthcoming Top Attorneys of North America 2017 edition of The Who’s Who Directories. 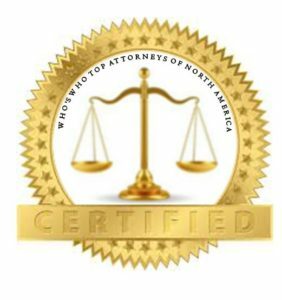 The accomplishments attained by Mr. Steve Wilde in the field of Legal Services warrants inclusion into The Top Attorneys of North America. Wilde Law Firm, PLLC is a team of short sale lawyers and staff located in Asheville, North Carolina. They proudly serve real estate age, buyers and sellers throughout all of North Carolina and South Carolina. The law firm exclusively concentrates its practice of law on short sales. The attorneys and staff at Wilde Law Firm, PLLC are committed to using their experience and familiarity with the short sale process to attain short sale approvals for its clients in an expeditious manner. Steve Wilde is the founding attorney of Wilde Law Firm. 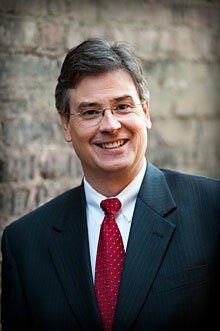 He has been a attorney for over seventeen years, and holds licenses to practice law in North Carolina and California. Steve gained extensive experience with real estate law during his time serving as a real estate closings lawyer, and gained exposure and experience with short sales as an investor. Steve’s experience with short sales as an investor has given Wilde Law Firm, PLLC the foundation necessary to make thier office the preeminent short sale law firm in North Carolina and South Carolina. Attorney Wilde, offers short sale workshops for real estate age and their offices throughout the states of North Carolina and South Carolina. He has taught short sales and foreclosure to investors, real estate age and attorneys for more than 7 years. He has also served as a consultants for loan servers regarding the laws relevant to short sales. Steve graduated from Northwestern School of Law at Lewis and Clark College in Portland, Oregon in 1992. He was the recipient of several awards and certificates including the Cornelius Honor Society and a Certificate in Environmental and Natural Resources Law. Steve graduated from the U.S. Merchant Marine Academy, Kings Point New York in 1981. He sailed as a merchant marine officer throughout the world on a number of ships prior to pursuing a law degree. Steve is also an actor with many film and stage credits. He has been seen locally in several roles at Asheville Community Theater and Parkway Playhouse. He enjoys barbershop quartet singing and most outdoor sports and recreation activities that are available in our area. Be the first to comment on "Top Attorney – Steve Wilde"